It’s such an easy process to use this piece of software. First, you need to download the free Scan and Go app. Over 5,000 users have reviewed the app and have currently given it a 4.7 out of 5 star rating. Users are genuinely pleased with it. After you download and open the app, you will be prompted to create an account where you enter your personal information, membership ID and payment details (credit or debit card). Once all that information has been entered, start shopping at your nearest Sam’s Club location. The first screen you see in the app is the one shown below. You will notice it has my store’s location, although I could use it at any Sam’s Club. The scan button is the green one at the bottom center. The subtotal function to the left adds the items as you scan them into the cart. To the right is the “Checkout” button that you will press when done shopping. Press the green button to scan an item. A “Scan Barcode” screen will appear. Simply center the barcode of the item in the rectangular scanning area. The scanner reads the barcode and sends the item to your digital grocery cart. If for some reason it does not scan, you can look up the item using the green tab at the bottom. With the newest updates to the app, you can even scan the barcode on the shelf instead of the one on the physical item. No more turning over heavy cases of water to find the barcode on the bottom. Here is an image of how the scanned items appear in your cart. You will notice there is even a quantity field (Qty) for each item. You can select the down arrow and change how many of the item you are buying. The system then recalculates the total price based on the quantity bought. Press the checkout button once you are done shopping and you will be prompted to pay. When the system processes your payment, it generates a QR code. The attendant at the exit will scan your QR code as you leave. That’s it. Your done shopping. Just laugh and feel good all the way to the car knowing you just bypassed the hassle of the checkout line. I’ve been using this every week for several months now and the experience has been great. And even though the app has been out for two years, I’ve only seen a couple other people at my Sam’s using it. The company says usage is growing but apparently many still do not know about it. Frankly, I don’t know why you wouldn’t use it. I can’t think of a downside for the consumer. It’s a secure app so there is no more risk of your payment information being stolen than there would be using the traditional checkout card reader. One of the best benefits for shoppers is that you see your subtotal as you go. For those on a written monthly budget plan, this is invaluable. Warehouse clubs can be deadly budget buster shopping zones. Buying in bulk can be less expensive. But the “it’s cheaper here” mindset can lead you to buy more items than you need. The subtotal feature serves as a mental reminder to help you hit your allotted budget number. Another benefit for people like me who itemize purchases in the monthly budget is that there is no physical receipt. You store the receipt digitally within the app (see the screenshot below). If you want a physical printout, you select the receipt you want and text or email it to yourself. No more losing receipts and then forgetting that $50 of your expenditure for that shopping trip was for dog food. I like many of the other wholesale stores. But they would have to do something really special to get me to convert to their store over Sam’s. This app adds so much value to my shopping experience. It would be hard to give it up. 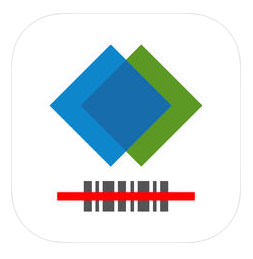 Questions for Discussion: Have you used the Sam’s Club Scan and Go app? What has been your experience? Do you buy more than you need at warehouse clubs?